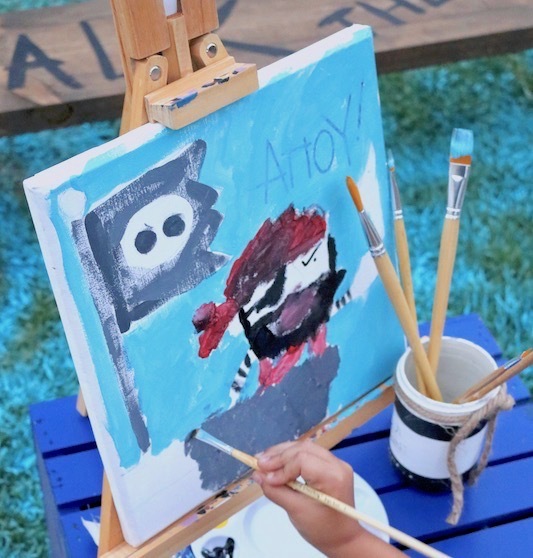 My boys love two things: playing like pirates, and painting. 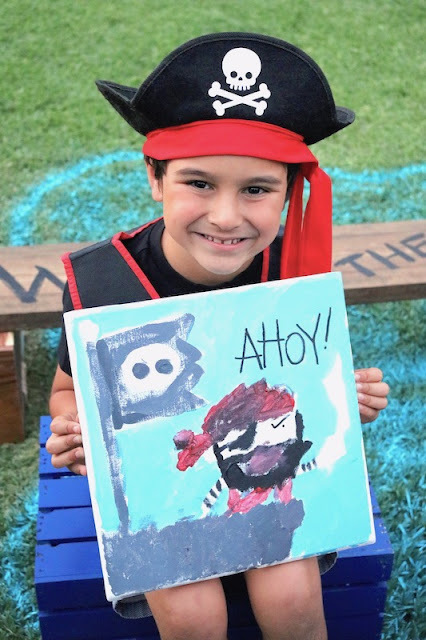 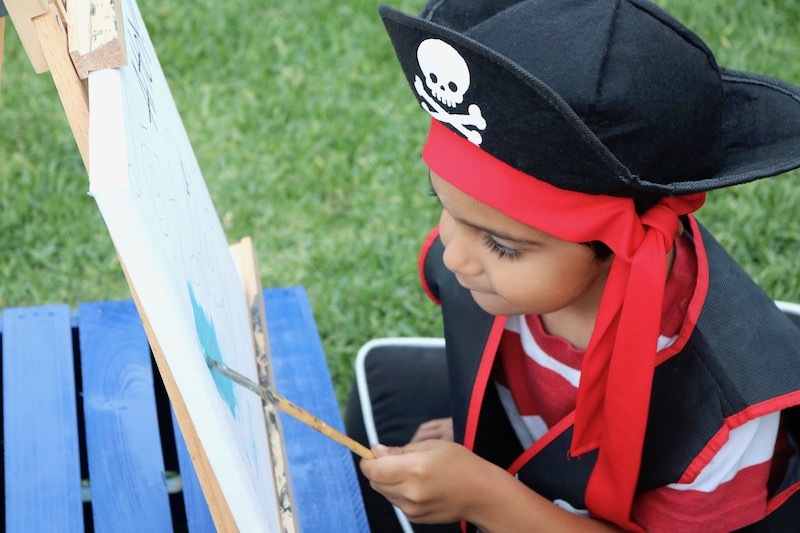 When our friends over at Social Artworking contacted me about creating an afternoon painting activity to showcase their pirate design, I knew my boys would be so excited! 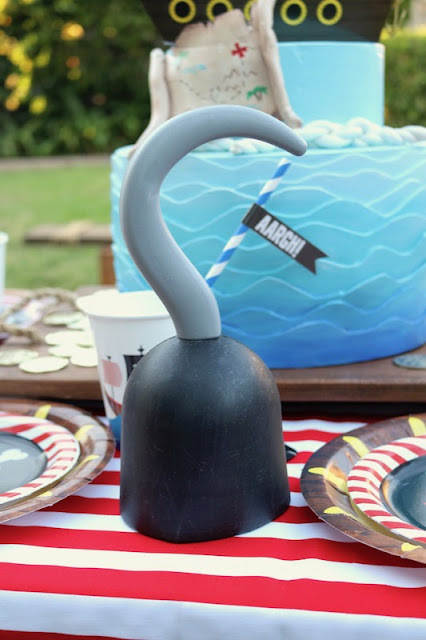 This post was sponsored by DecoArt, for Social Artworking. 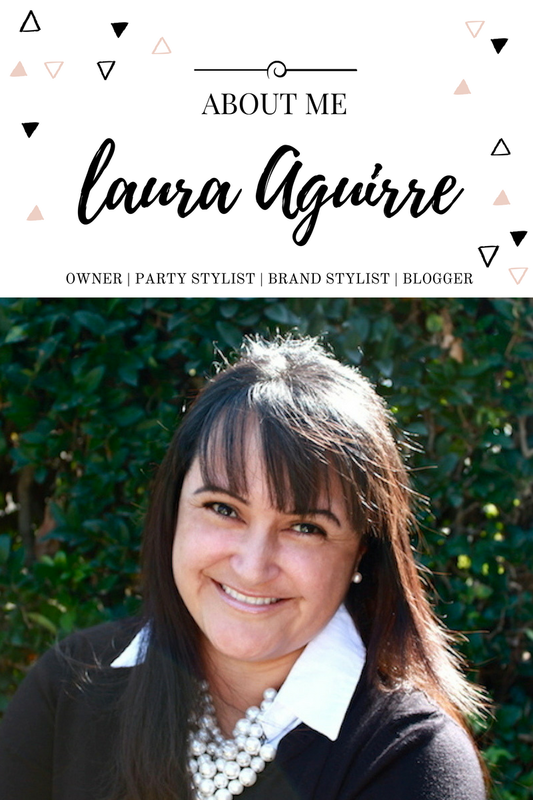 LAURA'S little PARTY has received payment, and/or products, in exchange for party inspiration and fun ideas. 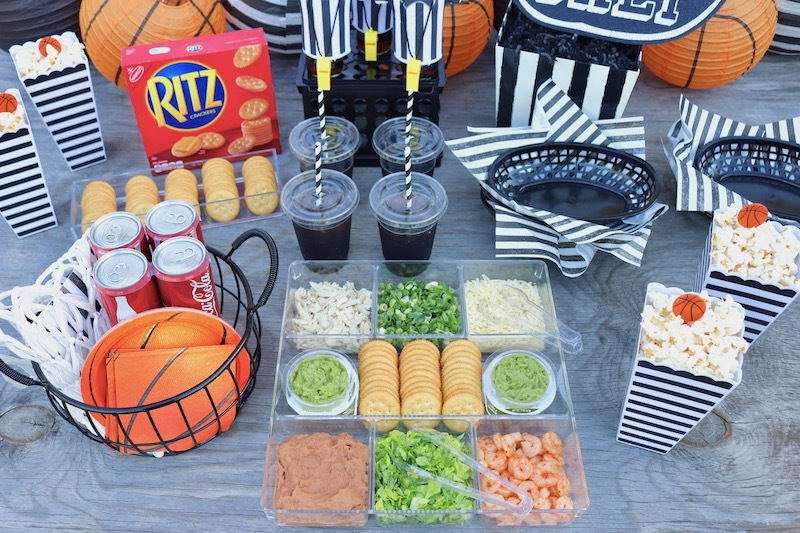 As always, all opinions are 100% our own. 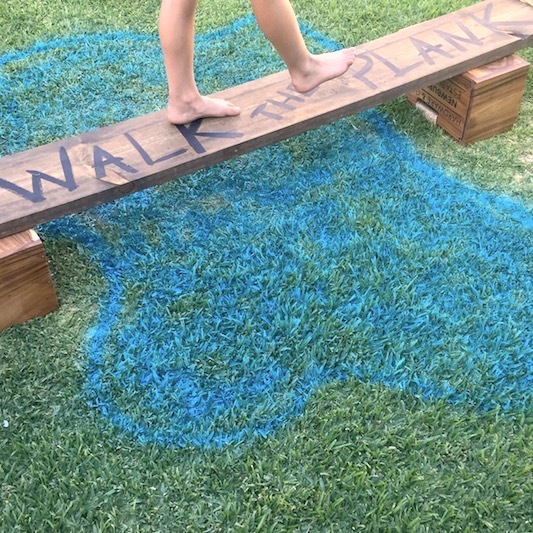 We do a lot of painting around the house. 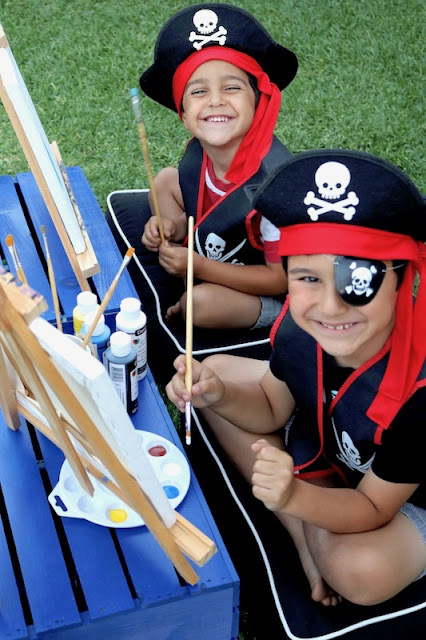 My boys have watched me paint furniture, pineapples, walls, you name it! So it's really no surprise that they also enjoy painting and creating. 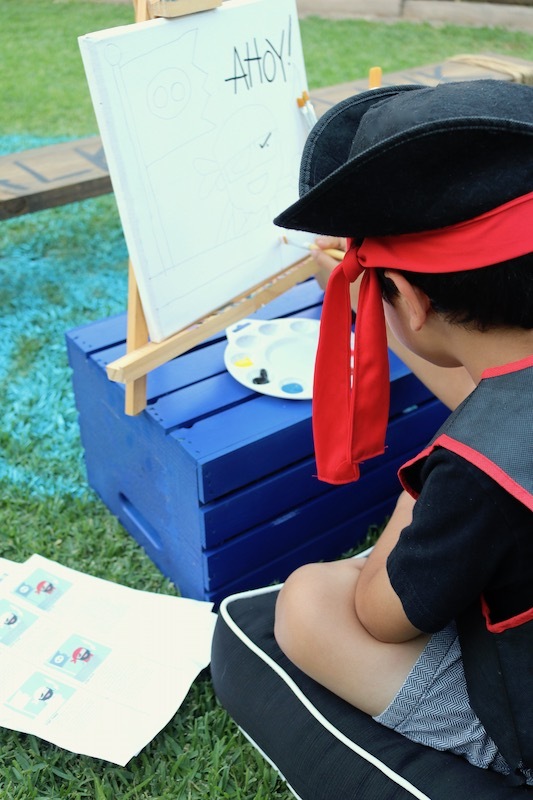 Summer is the best time to get creative and make an afternoon of it! 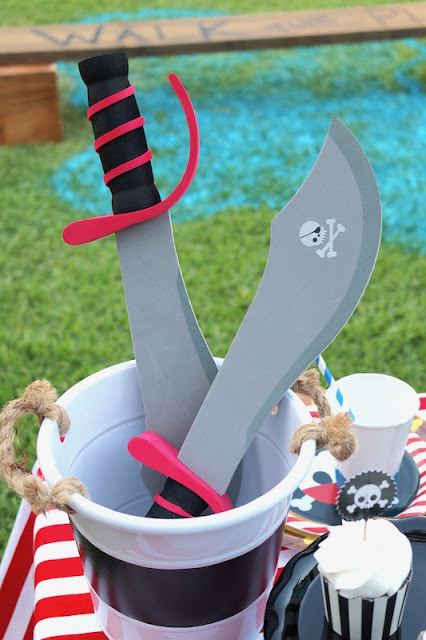 My two pirates are always up for a party! 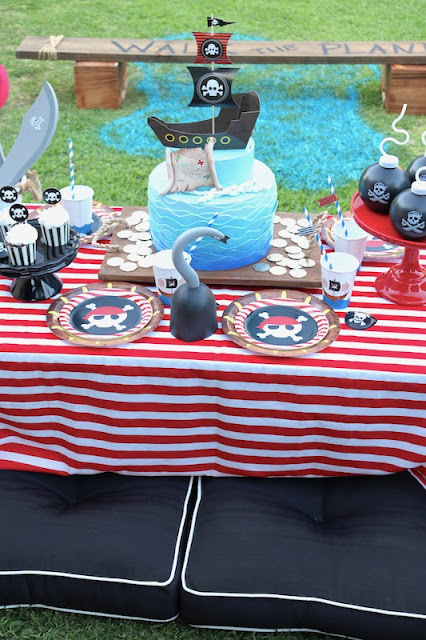 I had a table set up for them to enjoy some pirate's booty, treats and other treasures, before they started painting. 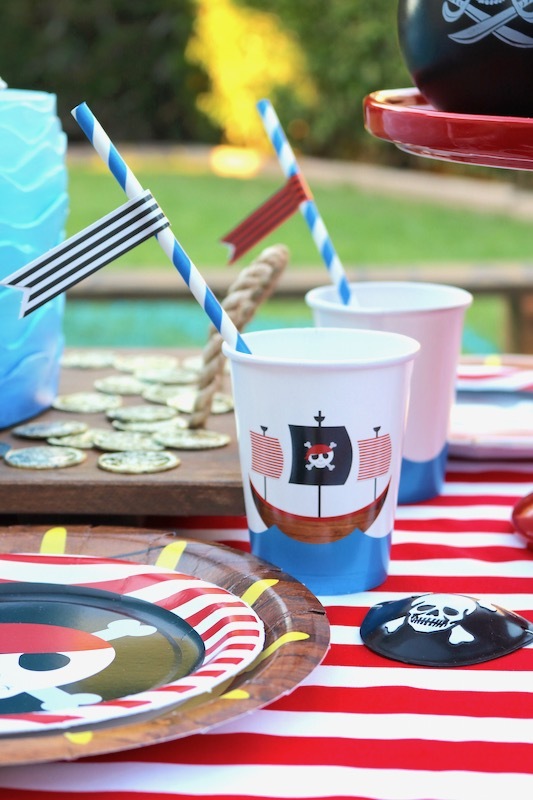 I couldn't wait to use the darling new line of pirate cups and plates from the very sweet Julie, of Crowning Details. 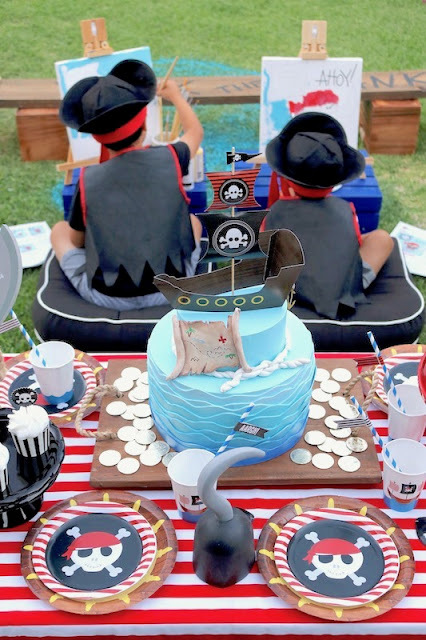 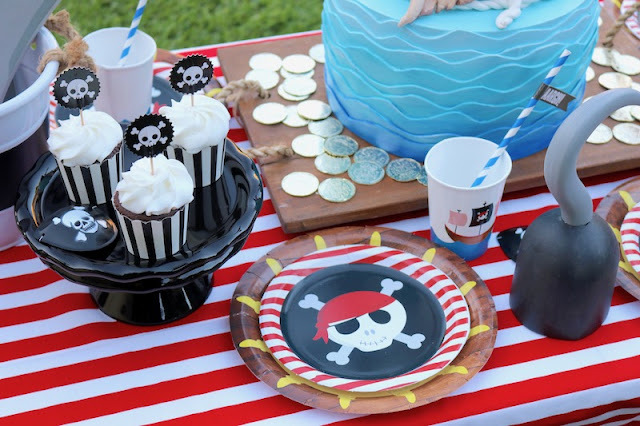 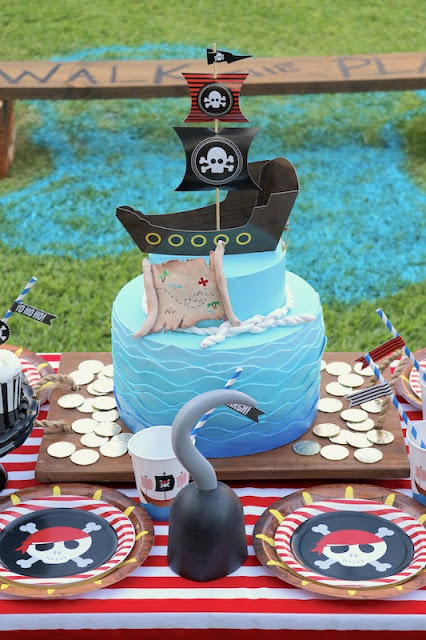 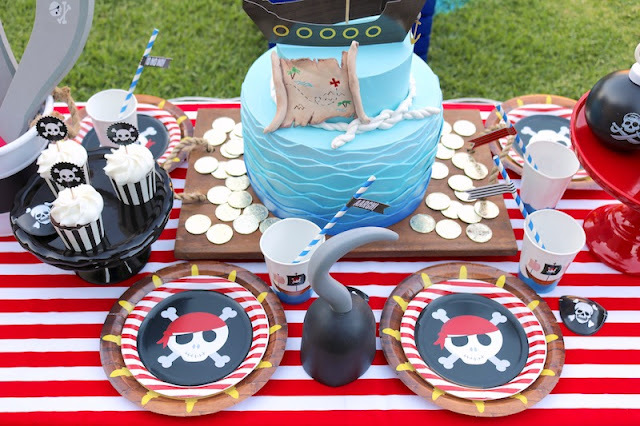 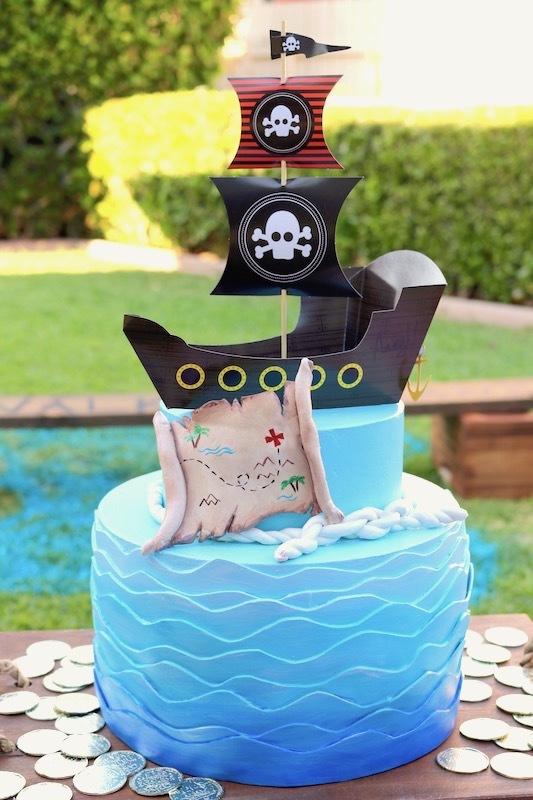 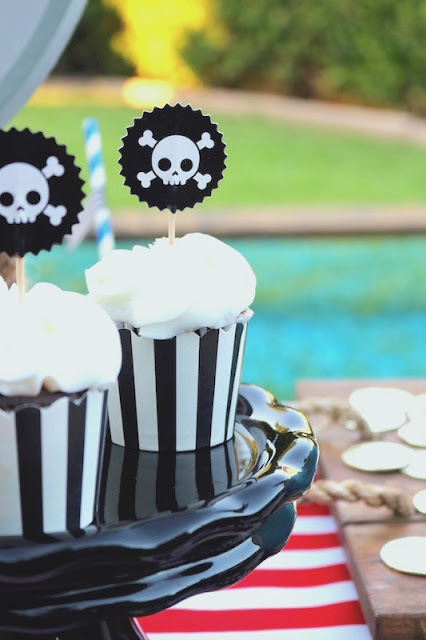 This aargh-mazing pirate themed cake was just what our pirate table needed! 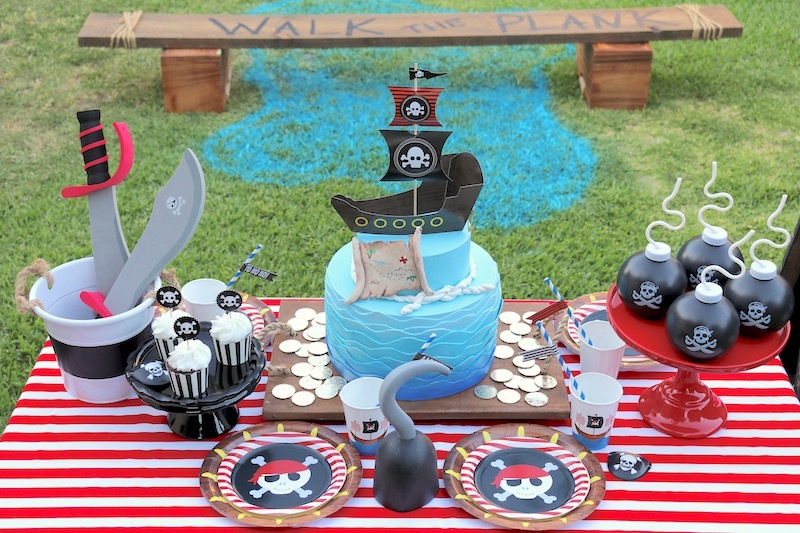 The ever so talented Alyson of Confection Deception custom created this fake cake especially for our painting party. Yep! You read that right... it's a fake cake! 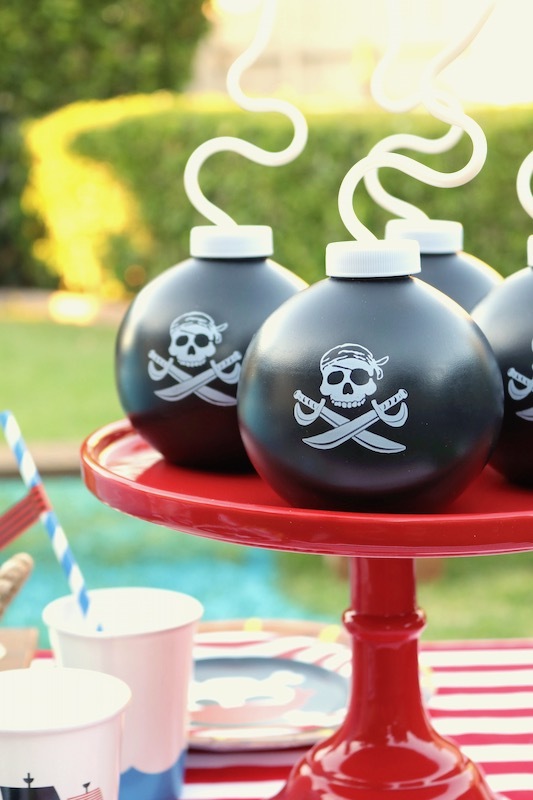 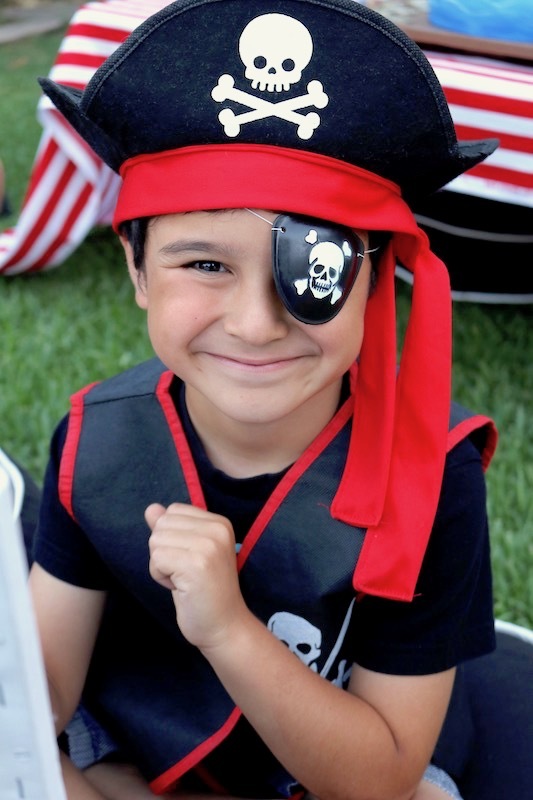 We topped it with a fun pirate ship set from our friend Kim of The Celebration Shoppe. Once my little pirates finished the party, it was time to walk the plank over the body of water that I created with Testors Spray Chalk. 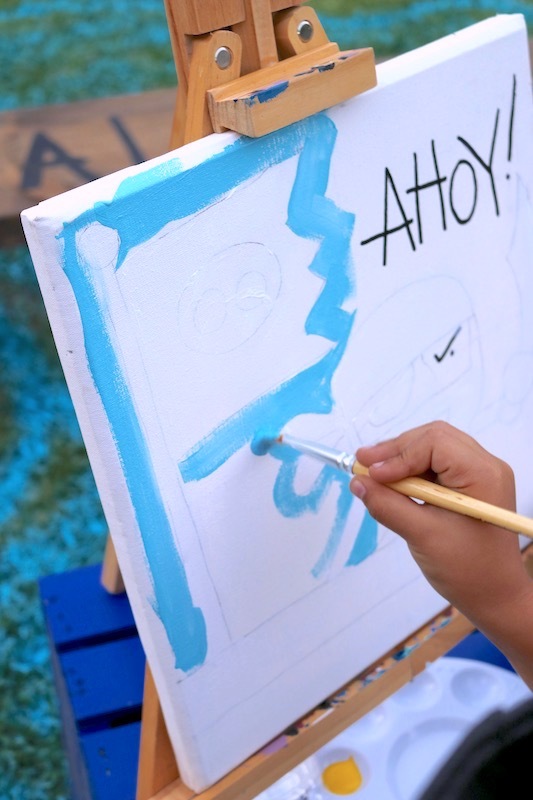 Social Artworking makes an afternoon of painting so easy and convenient! 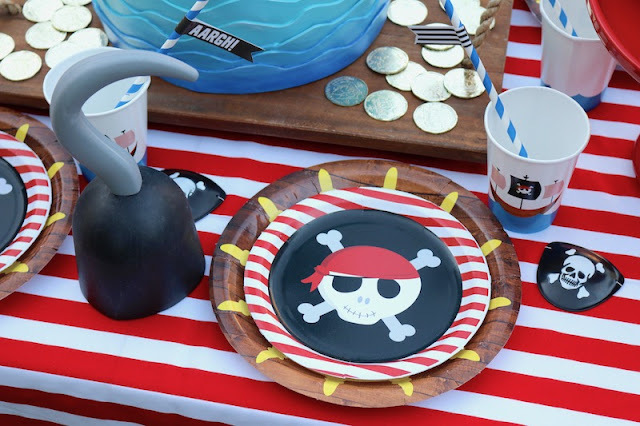 You just head to their site, pick out your design, gather your supplies and they ship everything to you! 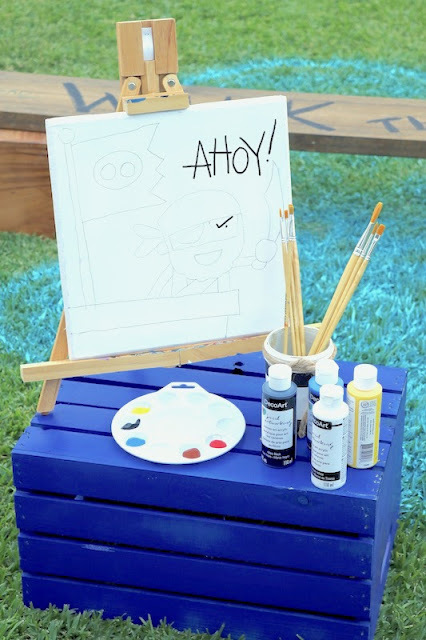 They conveniently list all the supplies and paint colors you'll need to complete your artwork. Instructions are also provided and are easy to follow along. 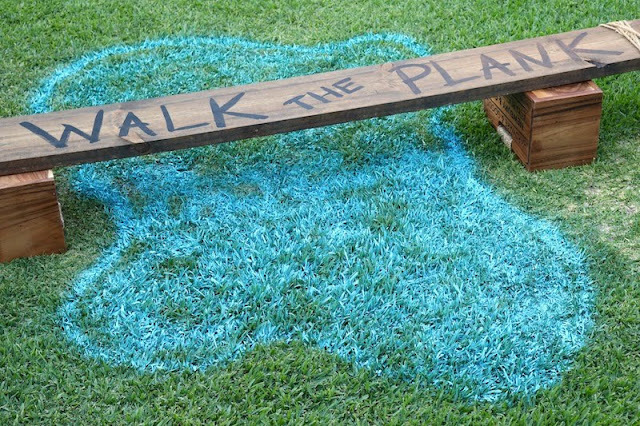 It's really that simple - and lots of fun! 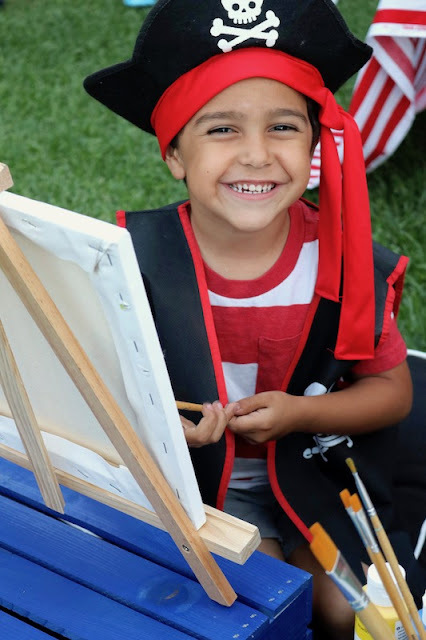 My boys loved spending a few hours playing like pirates, feasting like scalawags, and painting the afternoon away! 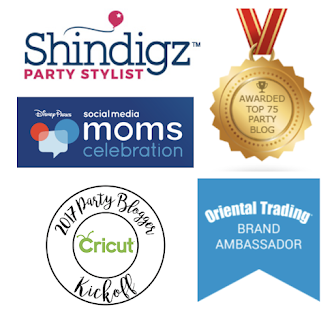 I can't wait for you to check out Social Artworking for your next gathering! 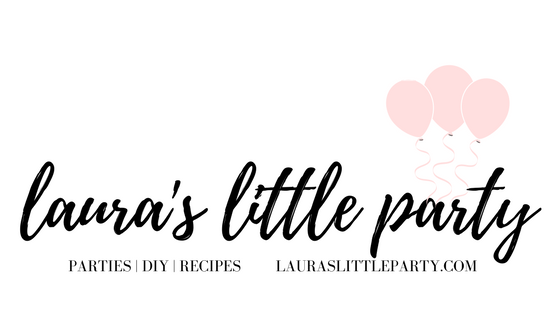 I just hosted a few girlfriends for a tropical themed soiree and we had the best time painting with the Tropical Leaves design.